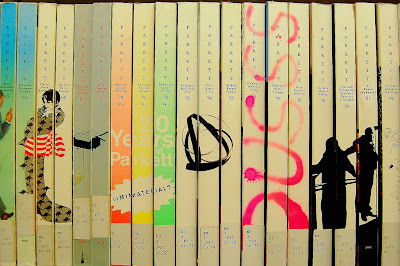 Spines of Parkett Magazines from 2002 to 2008. From the collection of Crossett Library of Bennington College. 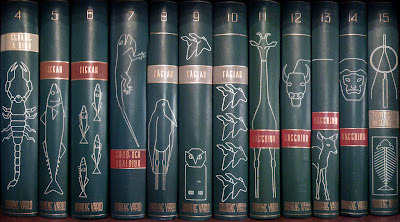 A Swedish encyclopedia of animals called Djurens varld (The World of Animals) printed in 1963-64. 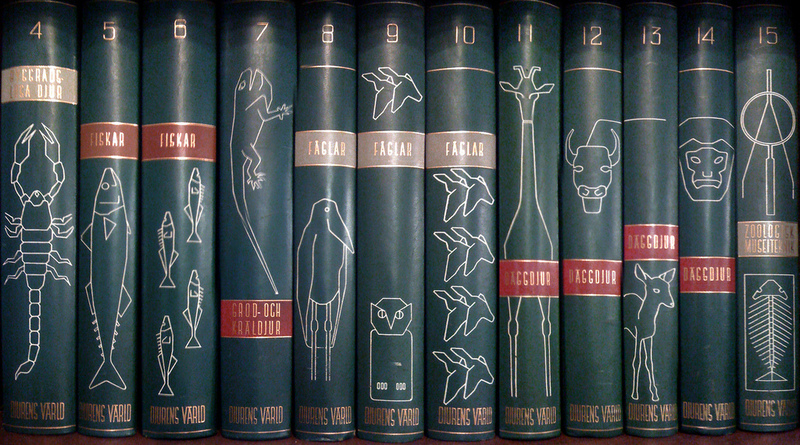 From P-E Fronning.